This protein-packed quinoa dish full creamy acorn squash, crunchy apples and toasted walnuts is naturally gluten free and vegan. If you’re looking for an easy make-ahead Thanksgiving side dish or simply want to incorporate more meatless meals into your weekly menu, this quinoa dish is for you! 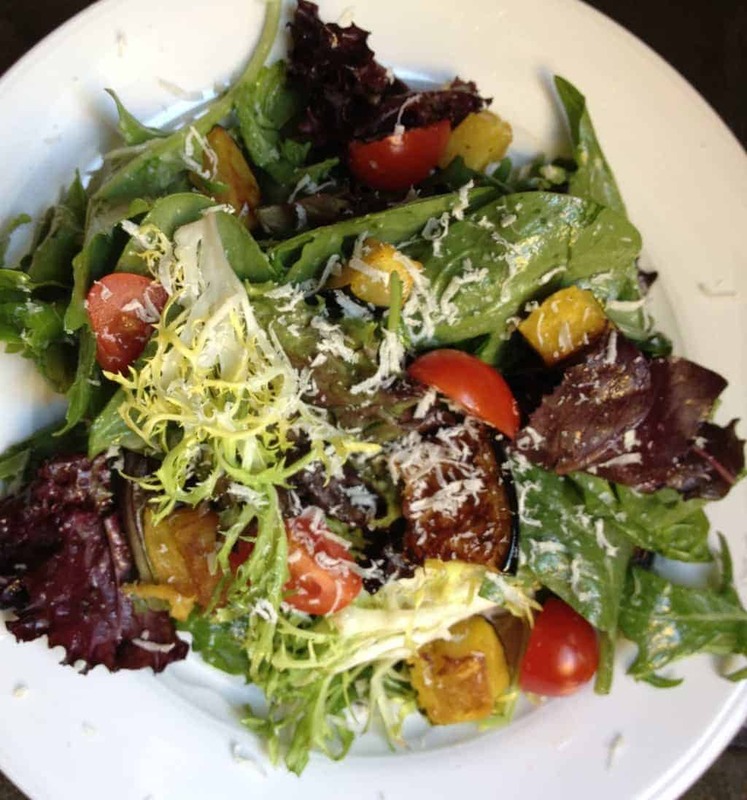 Packed with juicy apples, roasted acorn squash and toasted walnuts, it is bursting with flavor and contrasting textures. Parsley, scallions and lemon juice add freshness and bright flavors to bring everything together. Just one side dish serving provides over 6 grams of protein and 4 grams of fiber. This recipe also happens to be 100% gluten free and vegan which is perfect if you’re entertaining a crowd and need a few options for guests with food allergies or dietary preferences. In this busy time of year filled with so many indulgent and and decadent dishes, it is always nice to have at least least one guilt-free option you can feel good about serving your friends and family. Pre-heat oven to 400 and line a baking sheet with foil. Place acorn cubes in a resealable plastic bag and coat with half of the olive oil, salt and pepper (2 tablespoons olive oil, 1/2 teaspoon salt and 1/4 teaspoon pepper.) Seal bag and shake well to combine. 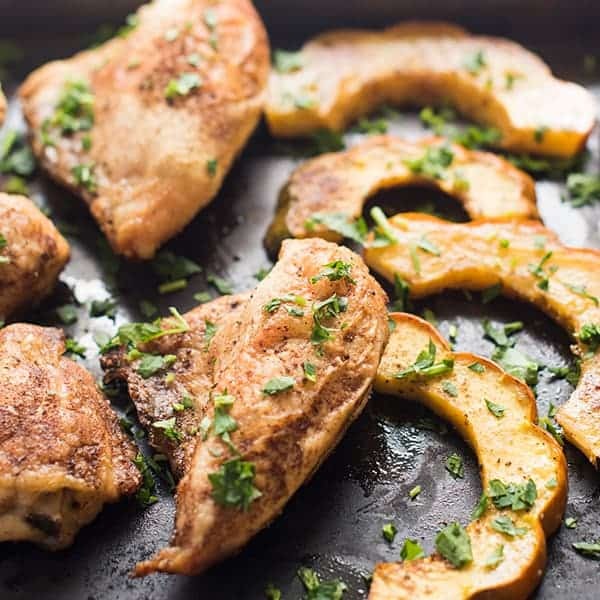 Scatter squash on prepared baking sheet and bake for 20-25 minutes or until softened. Add cooked squash to the quinoa and dress with lemon juice, remaining olive oil, salt and pepper (2 tablespoons olive oil, 1/2 teaspoon salt and 1/4 teaspoon pepper.) Toss well and season with additional salt or pepper if needed. Serve warm, cold or at room temperature. Can be made up to 1 day in advance. For more delicious side dish ideas for the holiday season, check out these other recipes created to celebrate the Food Network’s #FallFest! 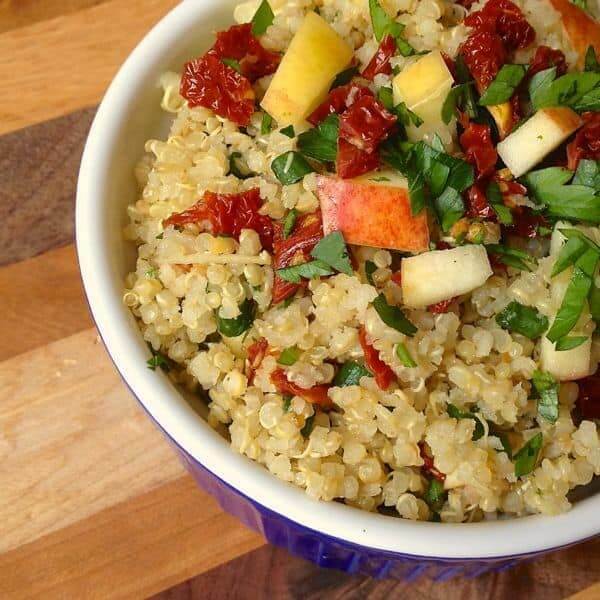 I love quinoa and make it often. I’ve never sliced my acorn squash into it but have used it as a bowl stuffed with a quinoa mix and made it a vegetarian one pot meal. I will have to try your version now. Nice blog. 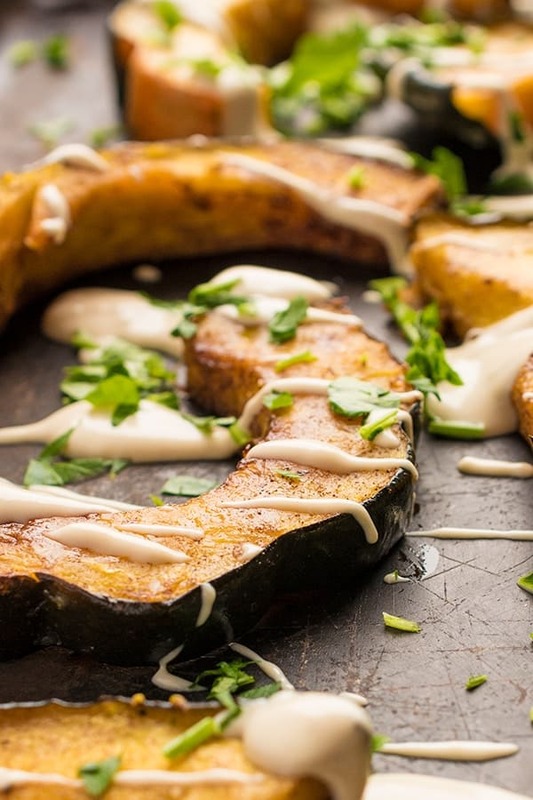 I’ve just started to appreciate acorn squash (it has taken a LONG time) and I have a feeling this recipes would make me say “yes” to acorn even more. This stuffing rocks. I love acorn squash. It’s so underrated. I totally agree. Thank you friend! It’s been waaaay too long since I’ve cooked with quinoa! This looks so seasonal and fantastic, Liz! I don’t do it often enough. It’s so good and filling! Liz – love how light and beautiful this sounds, perfect for this time of year when we’re surrounded by all the richer, creamier dishes. Great way to balance out mealtime! I totally agree!!! I am really craving fresh right now!! I miss the farmers market already!